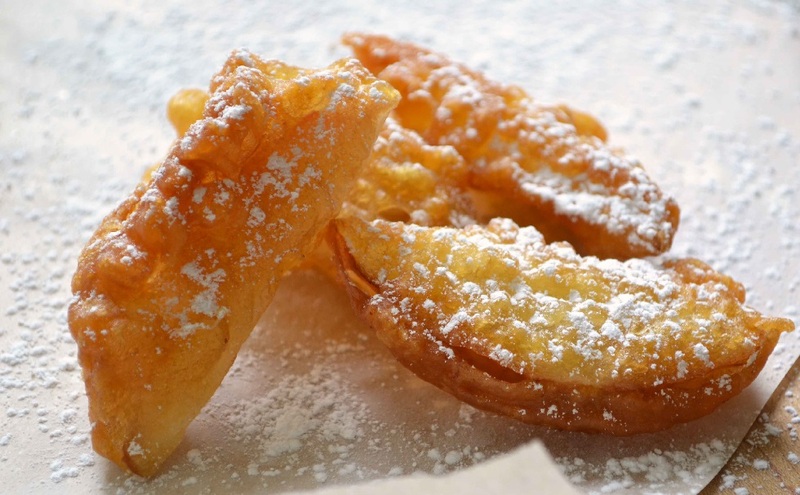 Apple Fritters: Apple Fritters are fried nuggets of cinnamon-flavored batter stuffed with flavorful apple chunks and covered with a dusting of powdered sugar. This is non-vegetarian recipe for Apple Fritters. Combine the egg, milk, butter, orange juice, orange peel and vanilla in another bowl. Add to flour mix to the milk mixture, just until moistened. Cut the apples into 1/2-inch thick slices. Using paper towels, blot the apple slices dry. Coat the apple slices with the batter. Fry the apples, turning occasionally, until golden brown. Apple Fritters are ready to be served. If you have any queries about this Apple Fritters Recipe , please write down in comment box below.